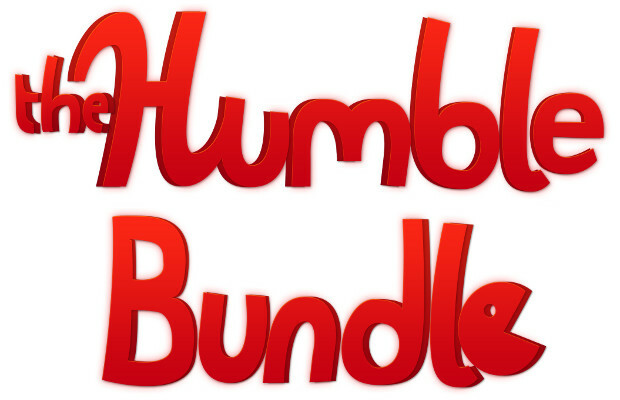 Humble Bundle 9 is here, and in keeping with Humble’s incredible trajectory of increasingly more impressive bundles, this one really knocks it out of the park. As always, the bundle offers up a handful of games for a price of the buyer’s choosing—any price at all. The payment can be split between the game’s developers, the Humble organization (for bandwith and upkeep) and, best of all, charity. Paying more than the average price paid for the bundle also unlocks a few bonus games, with the promise of more to bed added before the two-week event ends. Trine 2: Complete Story: An absurdly beautiful side-scroller with several very distinct characters to play as. Each one fulfills specific roles, such as combat, traversal or puzzle solving, and all are needed to get through the lushly detailed levels. It’s great eye candy, but also great fun to play. Mark of the Ninja: A side-scrolling stealth action game from the creators of Shank? Yes, please! Mark of the Ninja stands out for its incredibly tight controls and deep, varied stealth gameplay with a bit of an Arkham Asylum-flavored predator gameplay. Eets Munchies: Another side-scroller, this beta features a very hungry rabbit…thing that needs to eat, and needs your help to guide him through the levels by placing objects to assist him in getting from one side to the other. It looks odd, but could be great. Brutal Legend: This open-world action/puzzle/RTS hybrid with heavy metal themes and locales based on rock album covers is what happens when Tim Schaffer throws everything he thinks is awesome into a huge mixing bowl. It’s not always perfect, but it’s one of the most unique games you’ll ever play, as well as a hilarious and, well, brutal narrative. FTL: Faster Than Light: An insanely good (and challenging) strategy roguelike. You are a ship on a desperate mission to get information to your allies before a vicious rebel fleet hunts you down. The kicker is that you rarely know what exactly will be at the next warp point you jump to, and resource management (as well as having to frequently gamble with what you’ve got) is a core component. You have control over each crew member and have to carefully monitor energy levels, the health and shields of your ship, and, in your darkest hour, frantically try to repair damage during a heated firefight. This game alone is worth springing for the bundle. Fez: Phil Fish can be a bit outspoken at times, but there’s no denying that he’s got some incredible ideas. Fez is a wonderful 2D side-scroller that adds a third dimension by changing the entire world and spinning it 90 degrees. Spoiling more of the incredibly satisfying story or its characters would be a grave sin, but just watch a brief gameplay video and get hooked. Several of the games also include the soundtracks (all of which are excellent). Head to the Humble site to pick up your DRM-free Steam codes. Which game are you most excited for? Tell us in the comments or visit us on Facebook and Twitter!